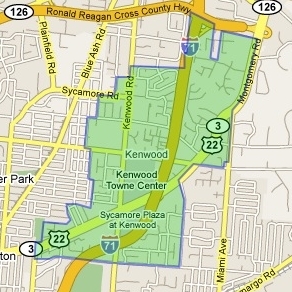 Kenwood is regionally recognized for its unique "destination" shopping and excellent dining, much of which is centered in or near Kenwood Mall. In addition to a wide array of typical mall stores and restaurants, Kenwood Mall boasts Cincinnati's only location of a number of famous nationally-known stores and restaurants including Nordstrom, Crate and Barrel, The Container Store, Maggiano's Little Italy Restaurant and The Cheesecake Factory. The nearby area includes other unique restaurants and stores including Embers Restaurant, Trio Bistro, Trader Joe's and Esther Price Candies.